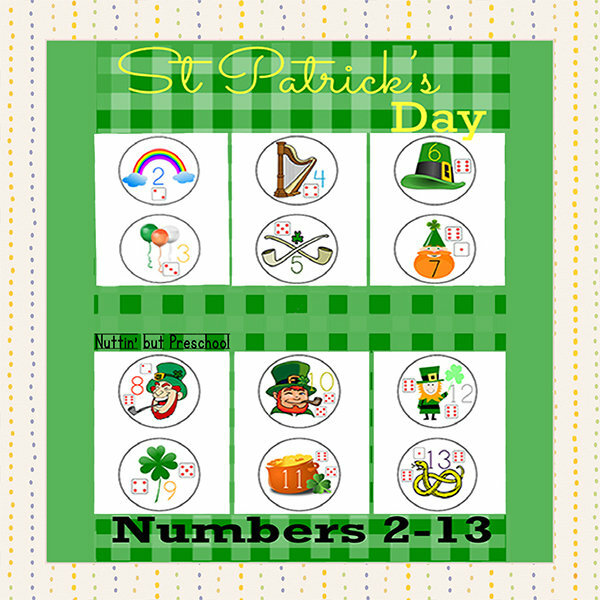 6 high quality, full color printable patterns to print, laminate and use in centers to learn to count St Patricks Day Numbers 2-13. 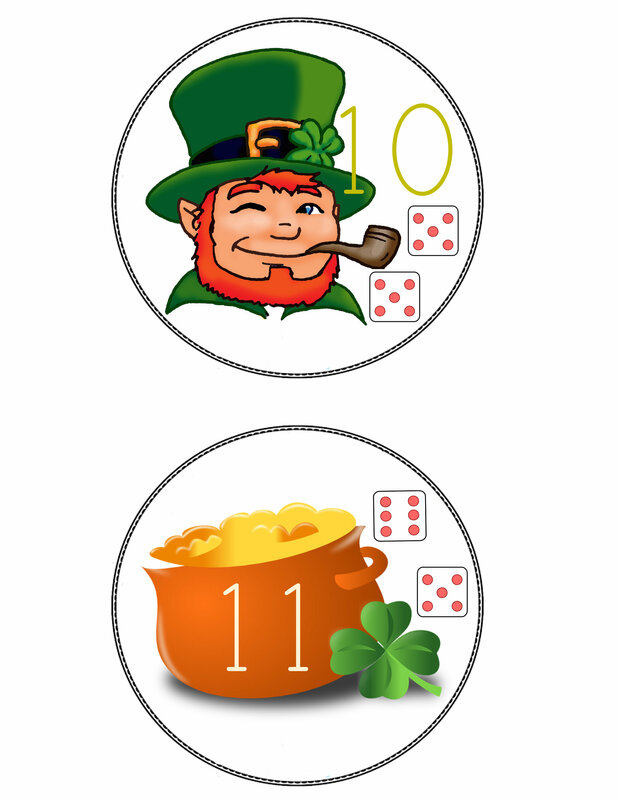 Give each child all the game pieces and a small bag of gold pebbles. 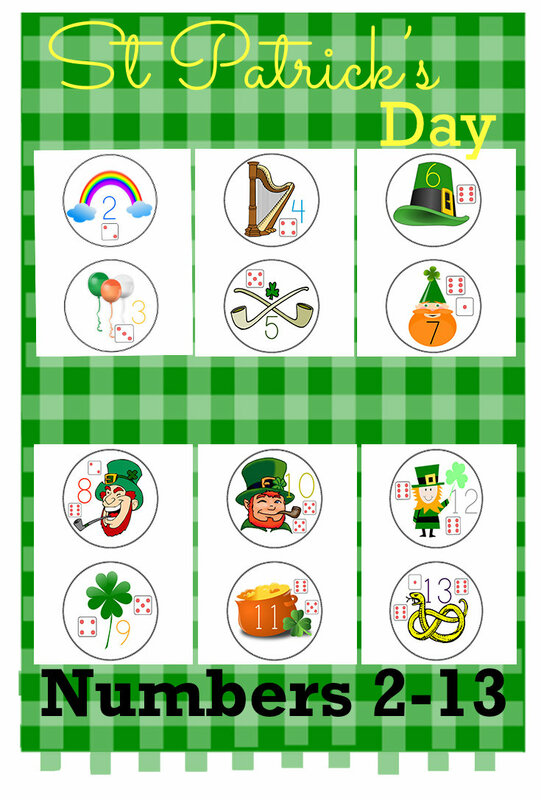 Have the child count and place appropriate number of pebbles on their numbered shape.